Why do Italians wear blue soccer shirts? 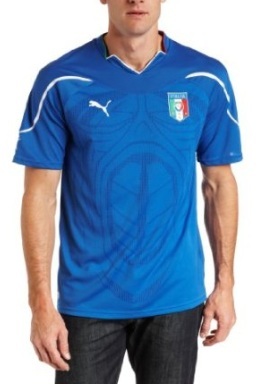 Every time the World Cup or Euro Cup soccer is on, I find myself wondering why the Italian football shirts are blue. Common sense dictates that it should be green, white or red like the flag – so where did blue enter the equation? It features a shield with a red and white flag of Savoy (where Savoy is a region of Switzerland from which the royal family hailed. You’ll notice that the Savoy flag is quite similar to the Swiss flag). The emblem also features a sky blue border. I have been so far unsuccessful in finding out *why* they chose blue as the color of the border (if you know please let me know in the comments below ). Some say it represents Italy’s blue skies and sea. Whatever the reason, this blue part of the coat of arms became the official color of the Italian royal family and the color that the nation adopted as the national color of Italy, known as “Azzurro Savoia” or Savoy Blue. Even though the Italian royal family was overthrown in 1946 and the Savoy coat of arms was taken off the Italian flag, the blue national color stuck and to this day it still features as the national uniform color for Italian teams in various sports including soccer / football, ski and basketball. The Italian soccer team is even nicknamed the “Azzuri” which means “the blues”. What happened to the Italian royal family? If you’re wondering where the Italian royalty disappeared to, they are actually still around and despite losing much of their influence over the country, they have retained some of their titles. There still exists a Duke of Savoy, a Prince of Naples, a Prince of Piedmont and a Duke of Aosta and their titled families. This entry was posted in Culture and tagged Culture, football, italy, soccer, uniforms. Bookmark the permalink. 5 Responses to Why do Italians wear blue soccer shirts? The House of Savoy originated from the County of Savoy (later, The Duchy of Savoy), which was a constituent state of the Holy Roman Empire. The bulk of Savoy is now in France (Savoie, Haute-Savoie, Pays de Gex) and Italy (Valle d’Aosta), with its northernmost fringes now in Switzerland (Chablais Vaudois and parts of Genevois). The House of Savoy ended up ruling the Kingdom of Sardinia, and eventually, the Kingdom of Italy. The blue represents the connection to the sea as the royal family were connected to the Navy of Italy . Also Italy is 80 % surrounded by water one of the stories of the Italian flag origin is that the 3 colours of the flag is that the green stands for the plains of Italy the white is for the snow capped mountains and the red for the blood shed to unite it and the blue border on the shield was for the 3 seas that surround italy. Aosta is still part of Italy but the majority of Savoia was given to the French in 1859 By the then prime minester Count Cavour in a deal to rid Italy of the french forces in Italy . The Italian team the Azzuri wears Blue due the fact that up till the 1990′s the main Italian soccer team was part of the Italian armed forces, were all the top players did their national service by playing for Italy. I hope this is of help. 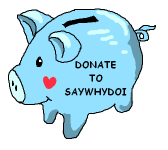 Your quote: “(where Savoy is a region of Switzerland from which the royal family hailed. You’ll notice that the Savoy flag is quite similar to the Swiss flag)” is completely incorrect. Savoie/Savoia use to be an independant kingdom, who’s capital was intially in Chambery (today’s France), before being transfered in Turin (today’s Italy). Savoie remains a region of France and not switzerland, so forget about the swiss flag! This post is very interesting. I am going to definately be coming back to your blog. Giovanni’s account is interesting, and there’s some fringes of truth, but yet totally wrong. The blue color comes from the house of Savoy (Savoia), this much should not be in dispute by absolutely no one. And the color is used by the teams to commemorate the house of Savoia who took all the different parties, countries and factions of the region, unified them, and made the Kingdom of Italia. 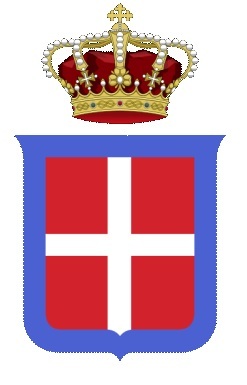 The color actually represents the night blue sky, and it originates back to 1366 when Amedeo VI di Savoia was on his flagship under orders from Pope Urbano V on crusade (the Savoia family had very close ties to the Vatican) and placed a flag of this color on his ship next to the Savoia flag. The flag was this specific color of blue and had gold stars and a Madonna. He explained that this certainly was the color of the blue sky made for Maria (the Madonna) by God and in his view the rightful color of the nation. Shortly after, the house of Savoia officially adopted the color as the official royal color and centuries later their Kingdom of Italy, adopted the color by extension.